I found this frog (I attract animals) and suddenly got a lot of ideas in my head, here is one. 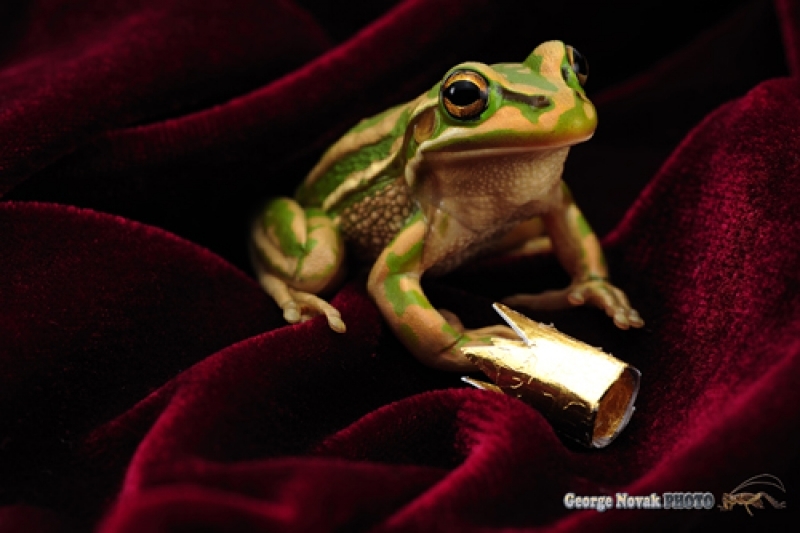 Quickly made a small crown and placed it on the velvet beside the frog. I had to quick, he didn't really liked the "transformation".